I'm gonna begin a little series here at Short Stop. I'm really getting into learning how to save our family money on groceries by finding great tasting meals that cost less than $5! Just so you know, I won't be posting the flops. And, yes - I do make flops. MAJOR flops. Like the spaghetti casserole I attempted last week. OH MY WORD, it was a complete disaster. 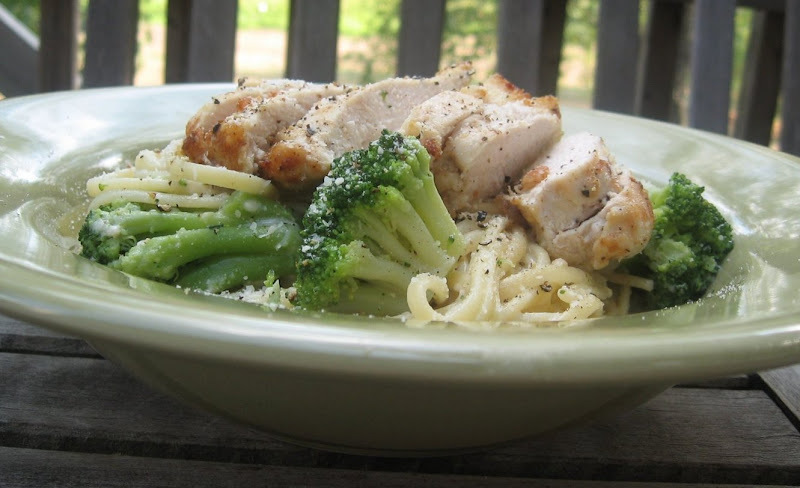 But, this dish - Chicken and Broccoli Alfredo - is one meal we loooooove here at the Short Stop house. Kids and parents. And, it's another one of those frugal meals that is really easy to make, very filling, and sop-up-every-last-bit-of-the-sauce-with-that-last-bite-o'-chicken good. And it's CHEAP! How cheap? Serve it alongside a loaf of garlic bread, and this one is good enough to serve to company. We have. And, they loved it! This dish can be made with fresh or frozen broccoli - I've made it both ways and it's great either way. I keep all of these ingredients in my freezer, fridge and pantry all of the time, so I can whip up this dish on any given night! I love inviting last minute guests over after church on Sunday - this is perfect for that! A little side note: I'm gonna take the liberty in this series of using the prices at which I typically buy these items at the grocery store, rather than using the retail prices. Because honestly, it would be silly to attempt to be frugal without using the circular and buying things when they are on sale. Example: I think the retail price of chicken breast at my local grocery store is probably around $5/lb. However, I would never pay that. I always buy chicken breast in bulk when it goes on sale - typically for $1.99/lb. *My sister is surely laughing - she is such an avid sale/coupon/price match grocery shopper that she could probably make this meal for half this price. Try this one, y'all! I know you'll love it! While pasta is cooking, pour 3 tablespoons Parmesan cheese onto small plate; set aside. Place chicken between two sheets of plastic wrap and pound to about 1/4 inch thickness. Dip each chicken breast in Parmesan cheese to coat. Add cream mixture to pasta. Add 2/3 cup Parmesan cheese and broccoli; toss to mix. Cut chicken breasts crosswise into narrow strips. Serve chicken over pasta with additional pepper and Parmesan cheese, if desired. *For those of you waiting for the answers to your questions from My 500th Post, I need my laptop to finish that little project. Hopefully, I'll have it back later this week and can post them next week sometime! Also read: I have GOT to get these roots done before I post that daggum video. I bet it's good but my family has this aversion to broccoli! I'll be waiting for more though! Sarah... You rock. That's all I have to say. This sounds delicious, Sarah. Ruthie has discovered a new-found affection for broccoli, so I think she would really like this dish. BTW, LOL at the roots comment. You crack me up. I need to try this. I made an alfredo sauce last week that was terrible. Eating all that fat has to taste good for it to be worth it and this looks delicious! I love that you are going to do a series of inexpensive meals-what a great idea! Sounds delish!!! 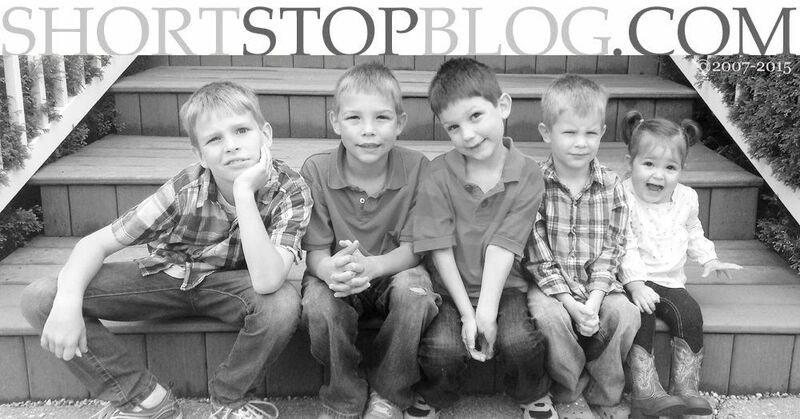 Have you ever been to this blog? Even though most things are simple, her pics and videos are cool :) You could totally do stuff like it! Love you!